Ideal for heavy lifting – smoothly. Can be matched with all types of trolleys. Chain Alloy Steel-Grade-80-Heat-Treated, for safe and long term use. Motor Extremely component – DUAL- SPEED-having tried and trusted capability. Push Button Safe operation, on low Voltage of 24 V, for complete safety.Double Action Push Button-for Both Speeds. 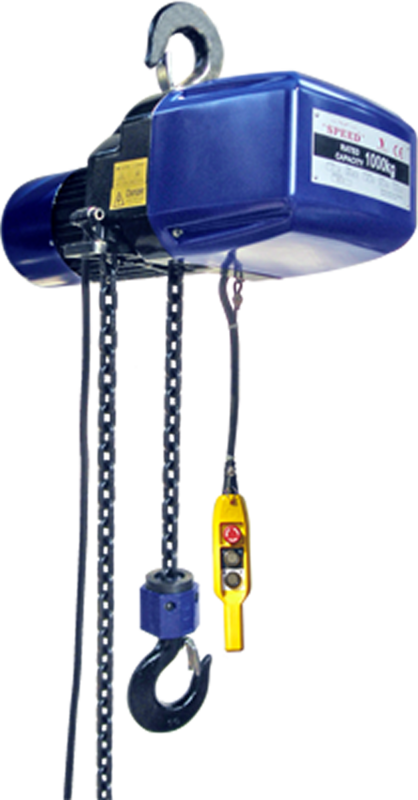 Limit Switches Protect, Against Damage,to the equipment and material. Assures operator safety. Capacities From 500 kgs. to 2000 kgs.